STEM is the hottest buzzword in education as a technology-driven future will be created by students learning science, technology, engineering, and math. But STEM is not just for labs or think tanks, it’s for sports, too! 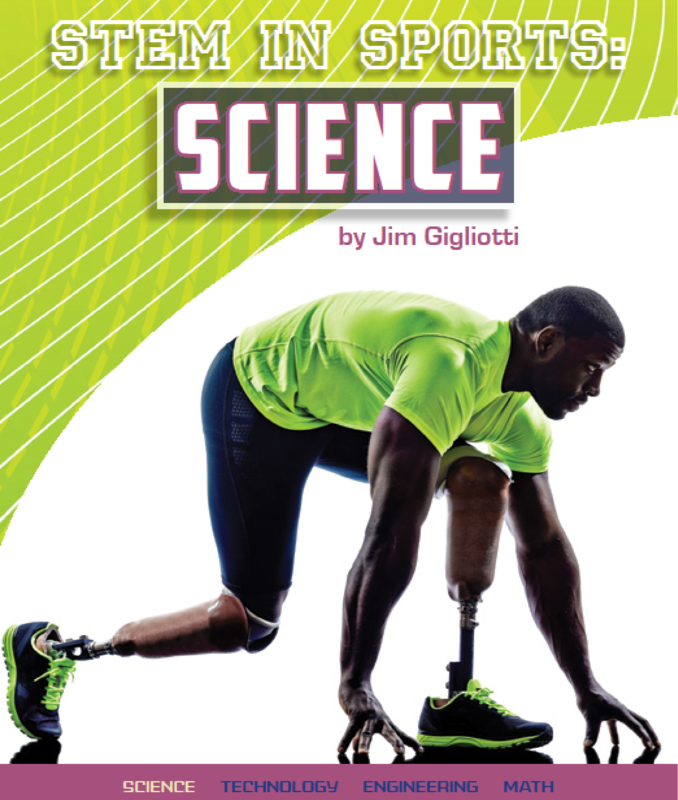 In this series, explore the ever-expanding connections between STEM and sports. Digital playbooks, high-tech fitness gear, analytics that build championship teams, new stadiums using the latest design innovations, and much more. See how top pro and college teams–along with weekend athletes–are using the advances in STEM to further their games. You can't play sports without a place to play. 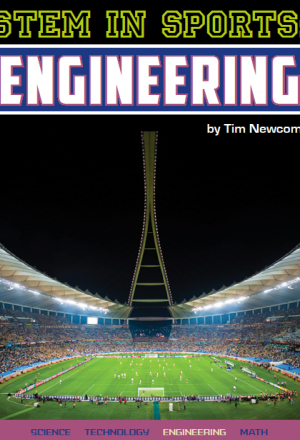 Inside, find out how engineers are changing the way people view and play sports around the world. 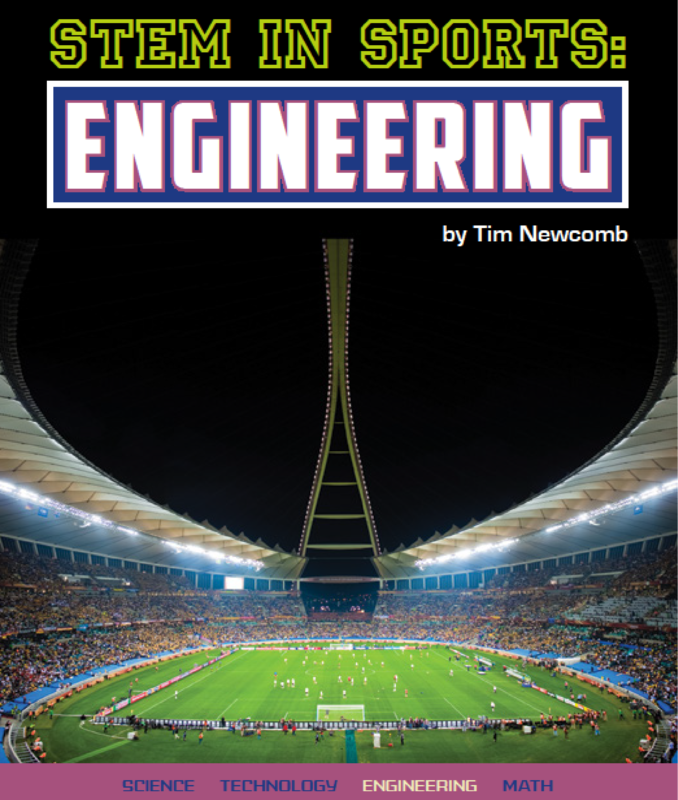 Read how talented engineers are becoming all-stars by creating arenas and stadiums that thrill fans. 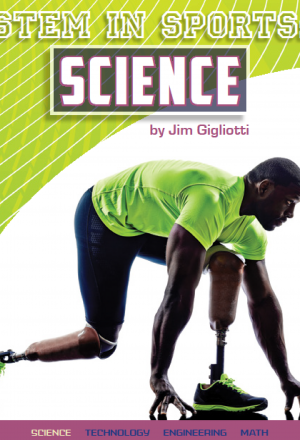 Check out advances in engineering that are changing how athletes dress and coaches coach. From the giant size of stadiums to the micro-engineering of uniform fabric, from 3-D printing of running shoes to growing grass indoors, engineers find themselves atop the victory stand over and over again. 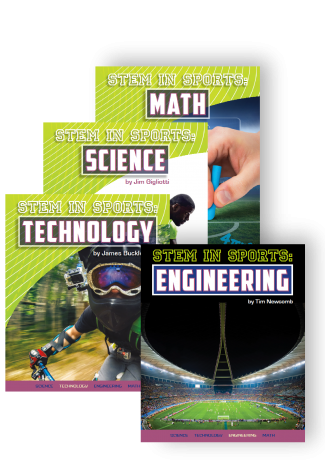 The entire STEM in SPORTS series tells the story of how science, technology, engineering, and math are not just an exciting and innovative part of education, but also part of the winning formula for success in sports. In this series, find out how these fields of study are hard at work on the fields of play. In sports, 2 + 2 now equals winning. 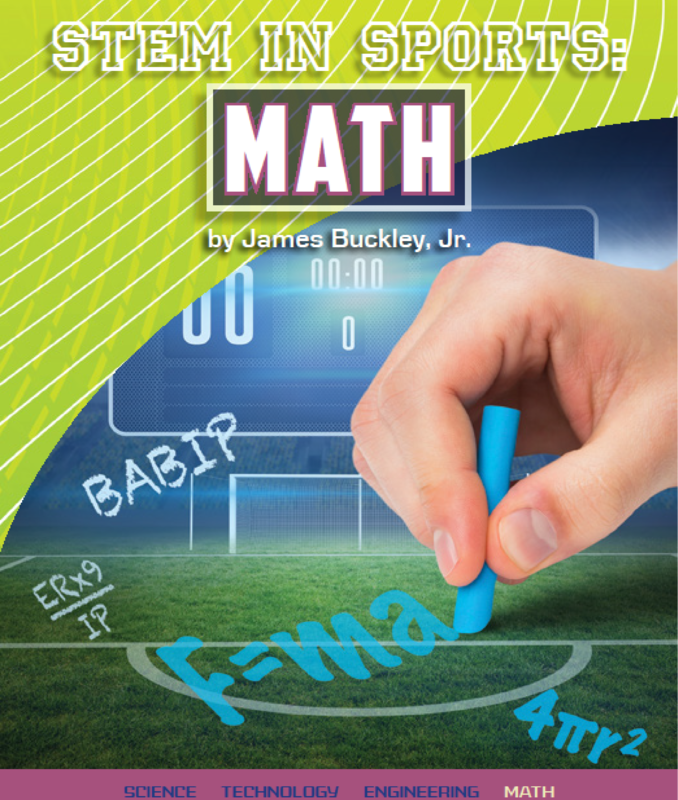 In this book, explore the many relationships between mathematics and sports. Start with the obvious--uniform numbers and stats--and continue with high-level analytics that are changing how teams are formed and how games are played. Math can make a basketball player more accurate and a football coach more successful. Knowing the numbers can make an everyday athlete more efficient and turn a racing team into a champion. 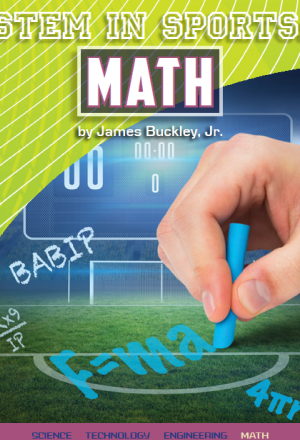 Count it up: Math in sports is Number One! 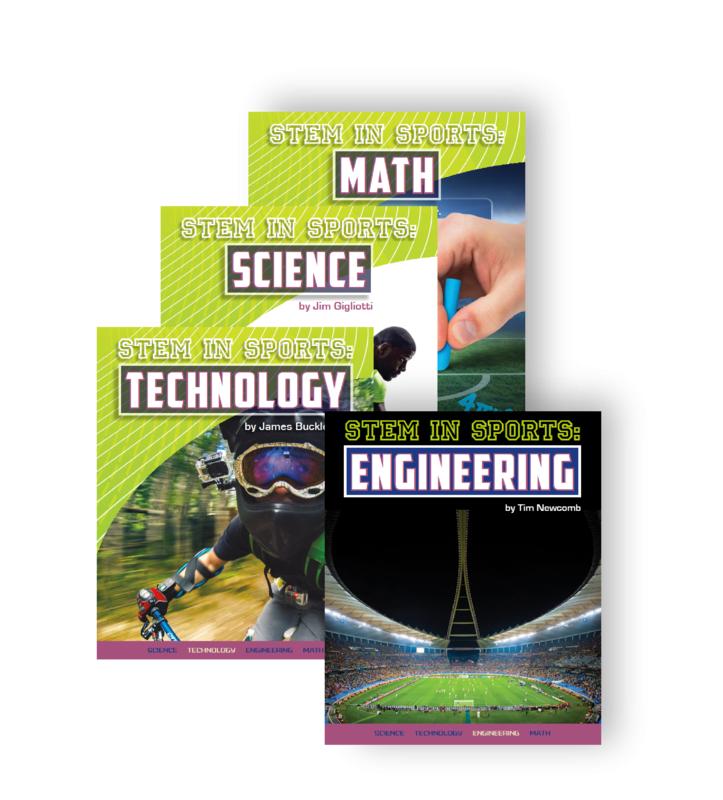 The entire STEM in SPORTS series tells the story of how science, technology, engineering, and math are not just an exciting and innovative part of education, but also part of the winning formula for success in sports. In this series, find out how these fields of study are hard at work on the fields of play. 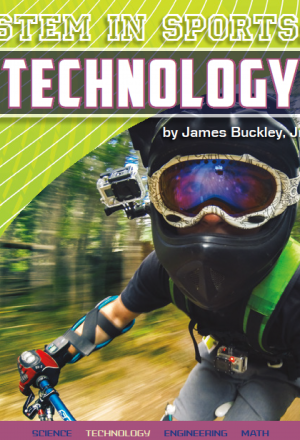 Technology is revolutionizing sports around the world; find out how inside. Wearable tech is turning athletes into walking computers. Stadium video technology is ending debates caused by official decisions. Personal video devices are changing the way we view sports, on land and in the air. From basketballs that talk back to social media that lets athletes talk back, too, technology and sports have become a winning team. 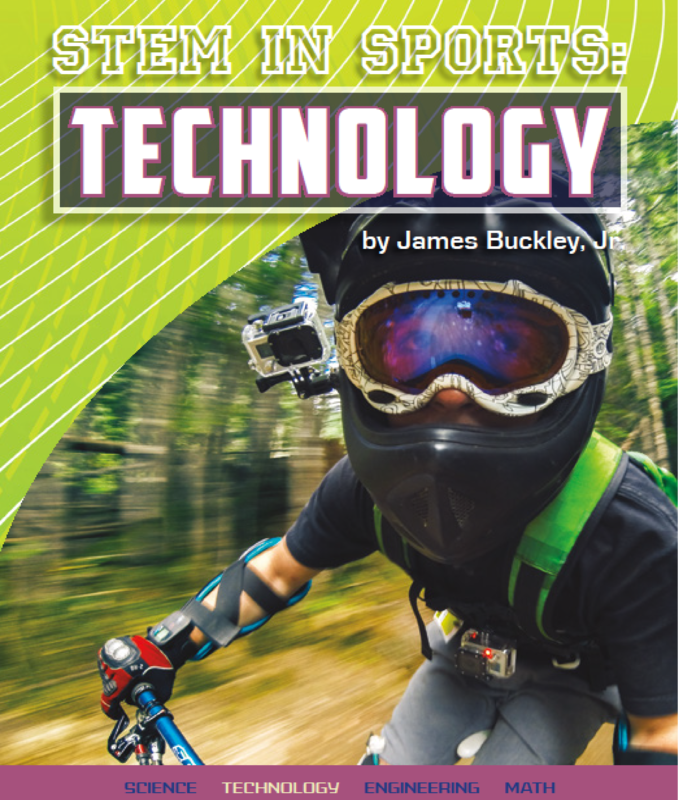 The entire STEM in SPORTS series tells the story of how science, technology, engineering, and math are not just an exciting and innovative part of education, but also part of the winning formula for success in sports. In this series, find out how these fields of study are hard at work on the fields of play.